The upcoming October-November issue of Adventure Sports Journal will include an article I’ve written on the Breweries of Santa Cruz County. I’ve enjoyed many beers from “over the hill” from my home in South San Francisco Bay, and spent a recent Saturday visiting some of the county’s breweries to do research for the article. Yes, it’s a dirty job, but someone has to do it. A few thoughts and observations of this quietly thriving brewing region. If there is a brewery that’s come a long way, it’s Santa Cruz Ale Works. About five years ago when their beers first started coming out, I found them marred by a one-note bitterness, and not a particularly interesting note, either. That’s clearly not the case any more and you’d have to figure brewmaster Marc Rosenbloom would figure things out given all his GABF medals from his days at Seabright Brewing. The brewery sticks to traditional German and English style and the flavors in the ones I tried clearly popped. If I had to pick a favorite, it would be their Kolsch, with a light lemon note and refreshing mineral-like finish. Their rich and smooth Dark Knight Oatmeal Stout is a close second. They opened a tasting room at the brewery four months ago, serving up some pretty solid sandwiches to go with the beer. Plenty of home brewing discussion was in the air when I stopped by the taproom. If you want to know what’s going on in Santa Cruz, talk to Seabright Brewing’s Jason Chavez. 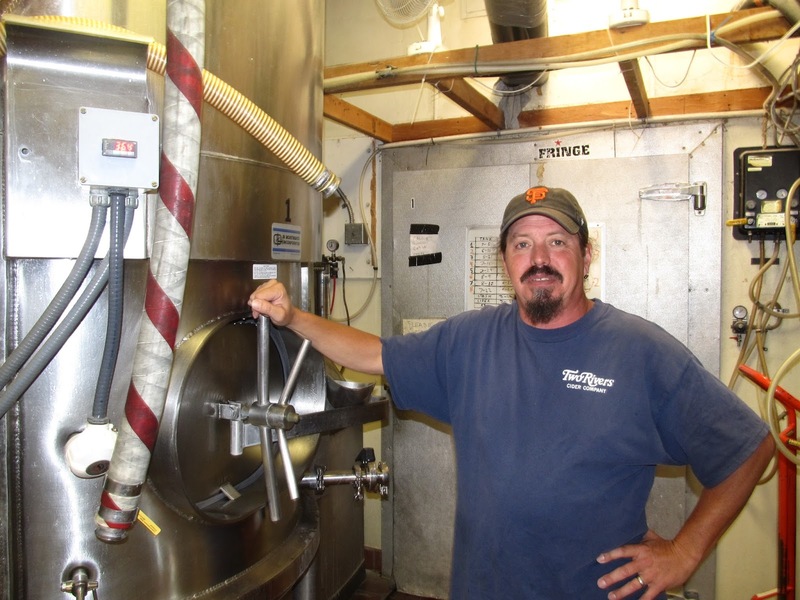 The guy’s been brewing since he was seventeen and has been with Seabright since 1999, a long time in the craft beer world. He seems quite eager to share a pint and talk beer with anyone. A genuinely engaging guy, he provided a lot of good background information for the article. I like his Blur IPA, a very flavorful, balanced and drinkable concoction with bright citrus and light floral notes. Sante Adairius Lives Up to the Hype I’ve been dying to visit Sante Adairius after seeing plenty of internet raves like this. The secret of Sante Adairius is definitely out as their small tap room was overflowing out of the parking lot, and everything I tried ranged from pretty good to excellent. I caught a few words with Brewmaster Tim Clifford as he was working the sizeable crowd, his last words he to me were “I hope this works out, since I don’t want to do anything else”. It seems unlikely he’ll have that problem. Is there a “Santa Cruz Brewing Style”? I happen to think a brewing style distinct to the Santa Cruz region is emerging. All of the counties breweries, save for Uncommon Brewers, follow rather traditional styles, but freely riff on those styles. The region’s beers fall towards the “sessionable” side of the beer/alcohol spectrum, which I think is a function of the considerable outdoor oriented community. Who wants a barleywine after a long day on the beach or cycling in the mountains? I’d also add that the IPA’s from Santa Cruz are more balanced than one finds on the West Coast. So if I had to describe the “Santa Cruz Beer Style”, it would be traditionally driven, but undeniably creative beers of the more sessionable variety with restrained usage of hops. 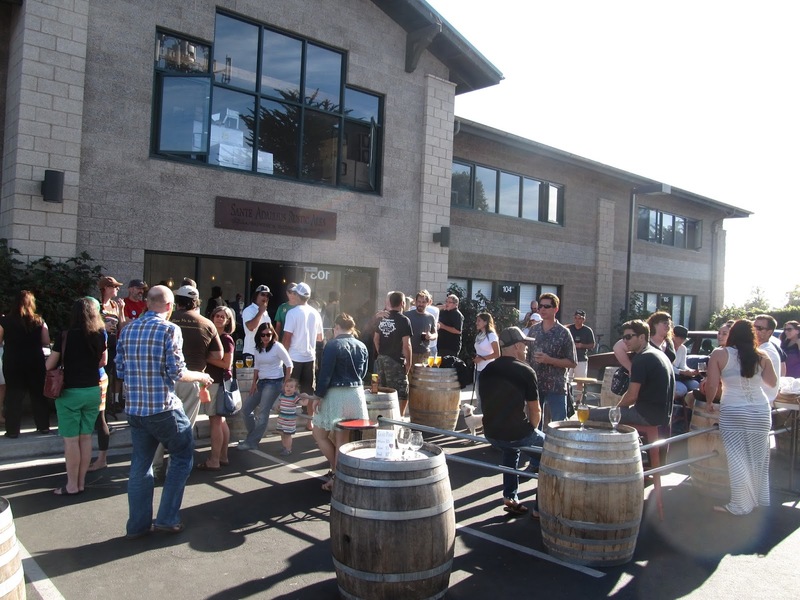 Given the region’s strong home brewing community and support for local breweries, it’s a sure bet another brewery will pop up in Santa Cruz County within another year or two and I can’t wait to see what it will be like.